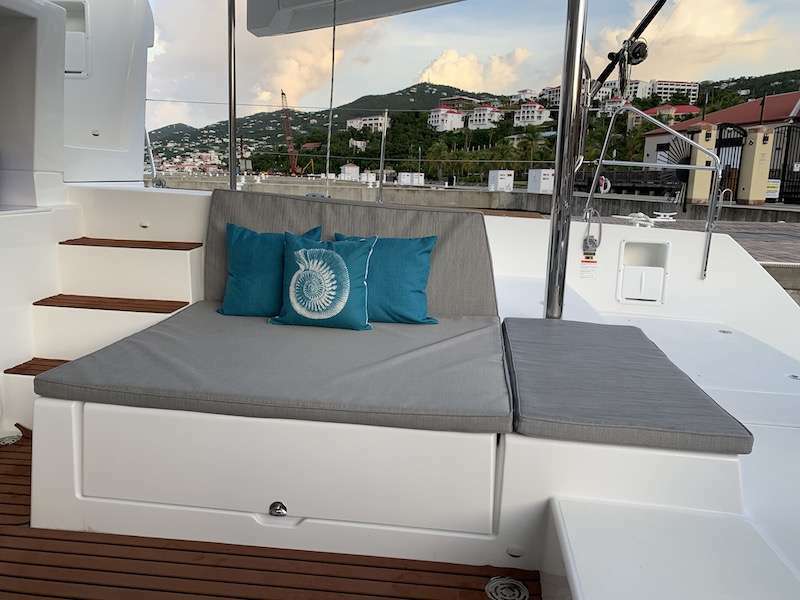 This 2016 Lagoon 450 offers an amazing amount of space for her size. 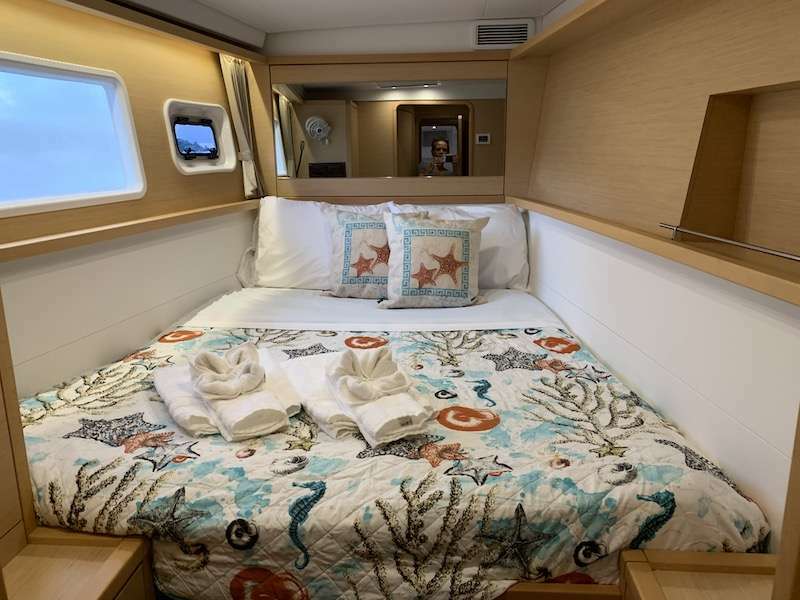 There are four beautifully appointed queen sized staterooms with lots of light and storage space. 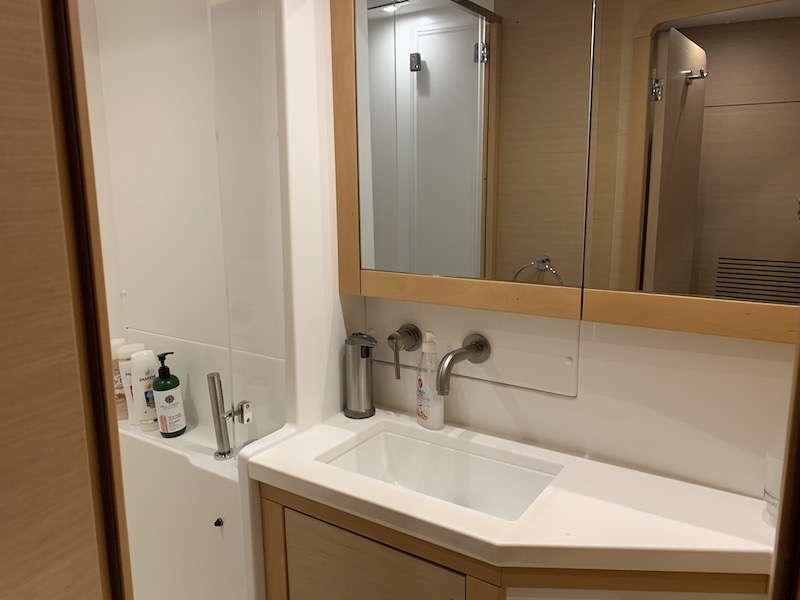 Each of the cabins have climate control and pristine ensuite bathrooms. 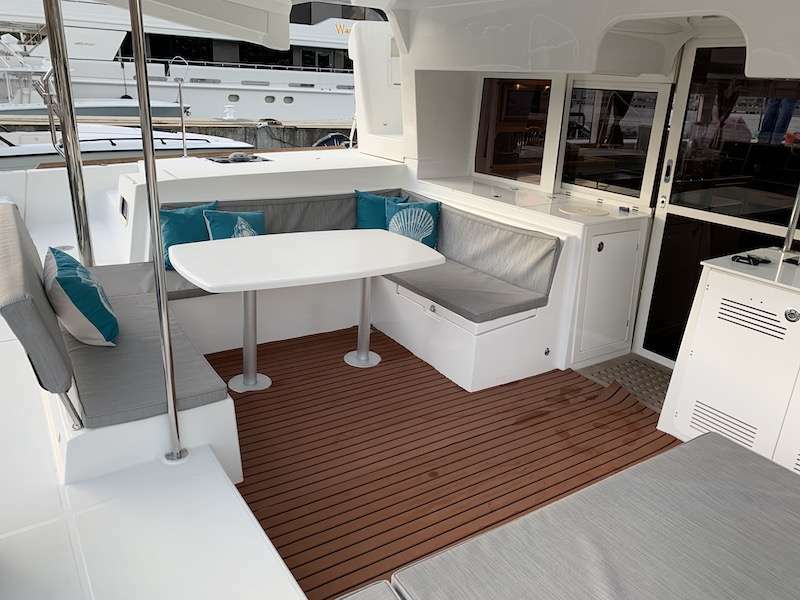 Throughout the yacht light wood is used and the decor is simple and contemporary. 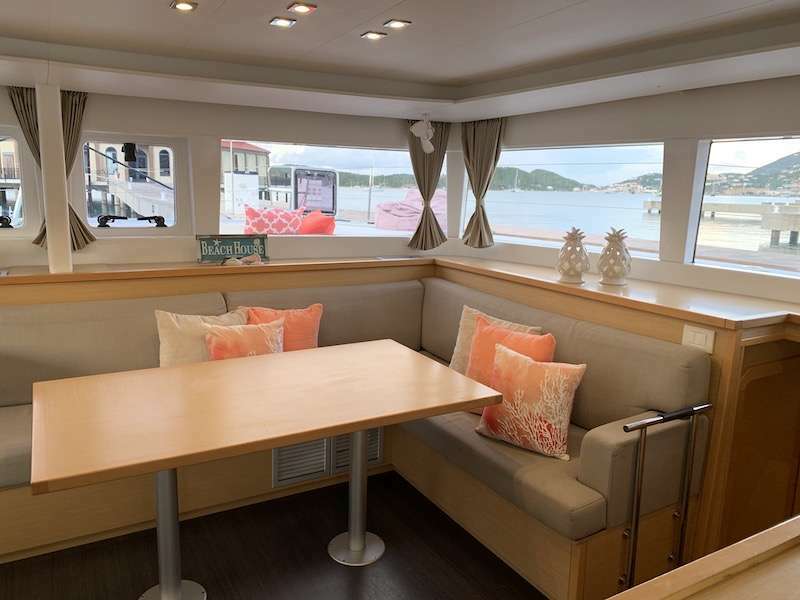 The lounge area has comfortable seating and an indoor dining option - plus the signature Lagoon wraparound windows that offer a fantastic panoramic view. 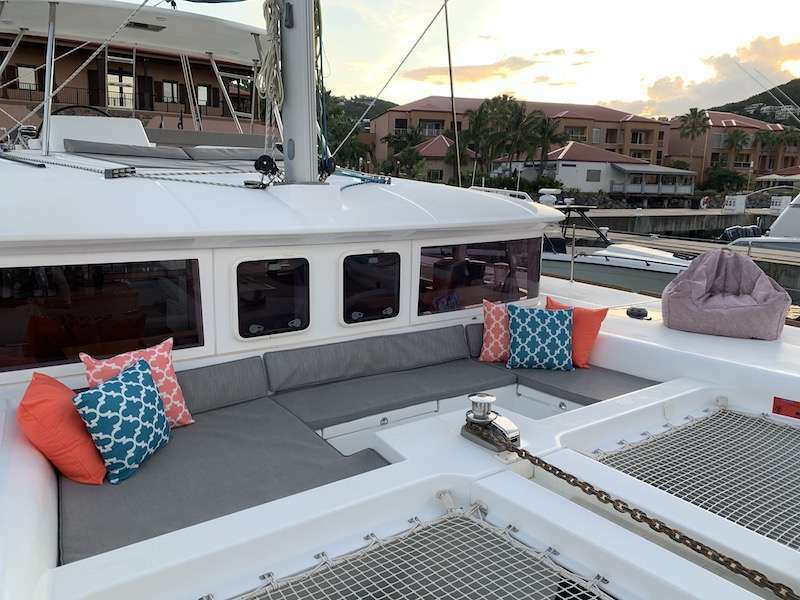 The cockpit is shaded and has two distinct seating areas with lots of space to walk around comfortably - easy access through to the back steps for swimming. The fly bridge is where the sailing action takes place, but is also the best spot for dolphin spotting or just taking in the amazing Virgin Island scenery. Forward there are trampolines and a great seating area. This new yacht is going to be a popular lady without a doubt!